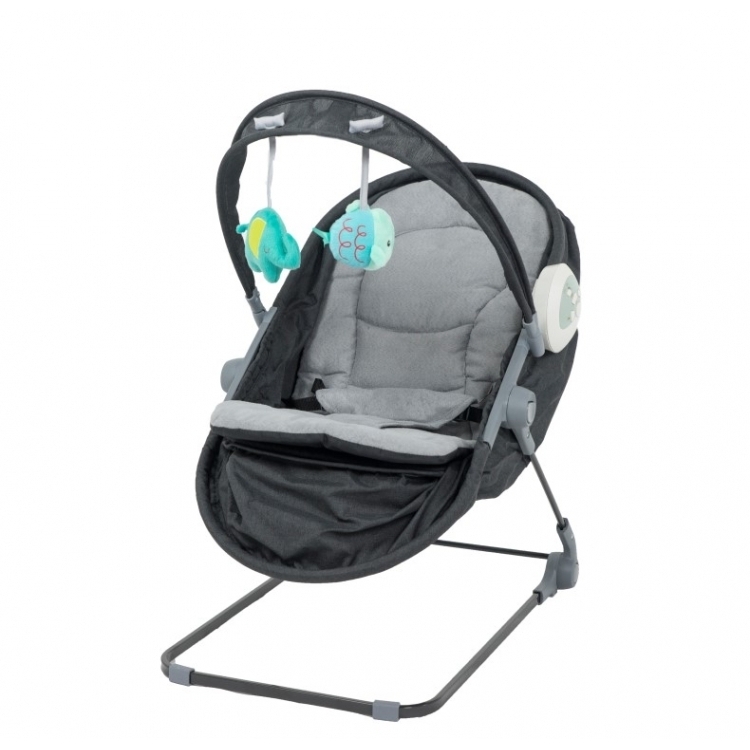 Multifunctional rocker covered in a Luxury jeans look with a soft seat recliner. 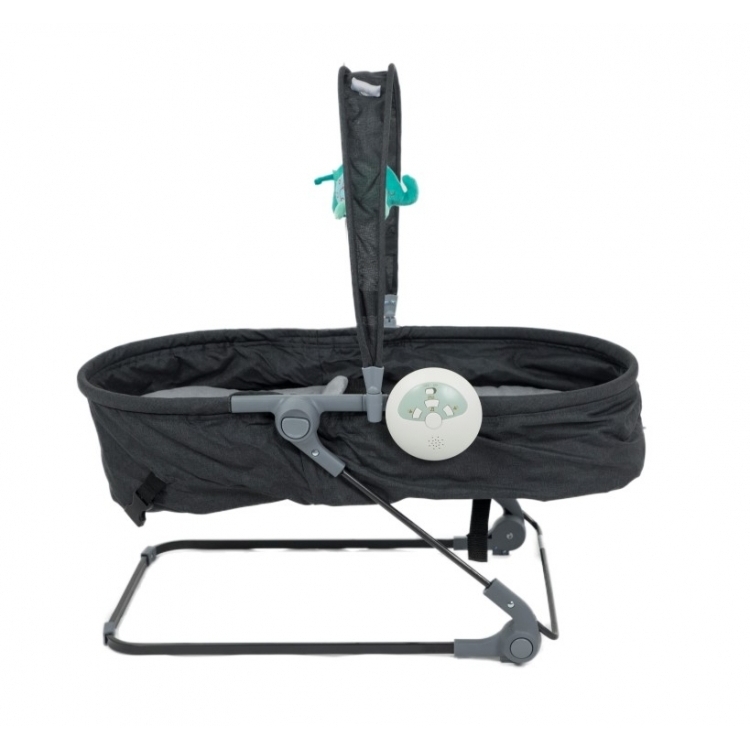 The seat can be convirted in a small crib. 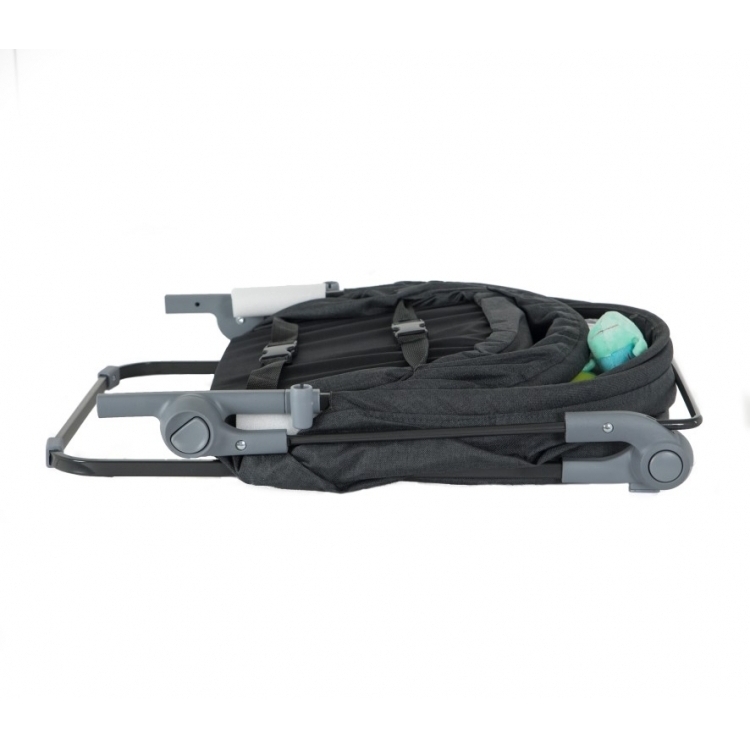 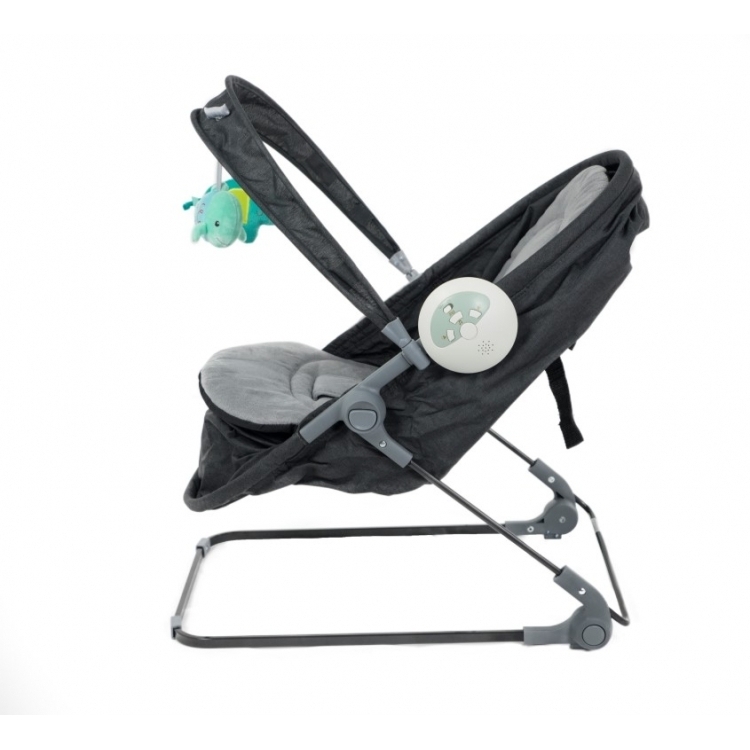 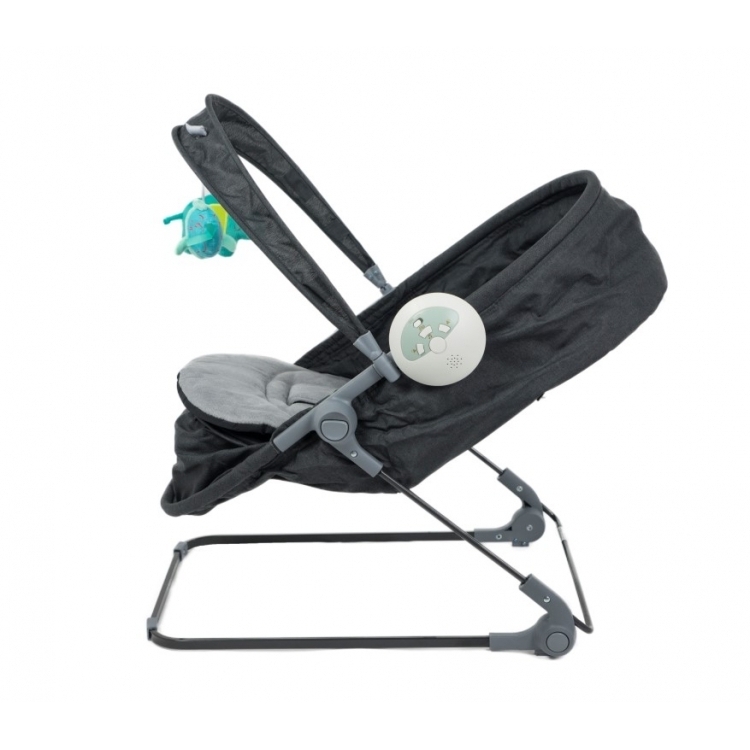 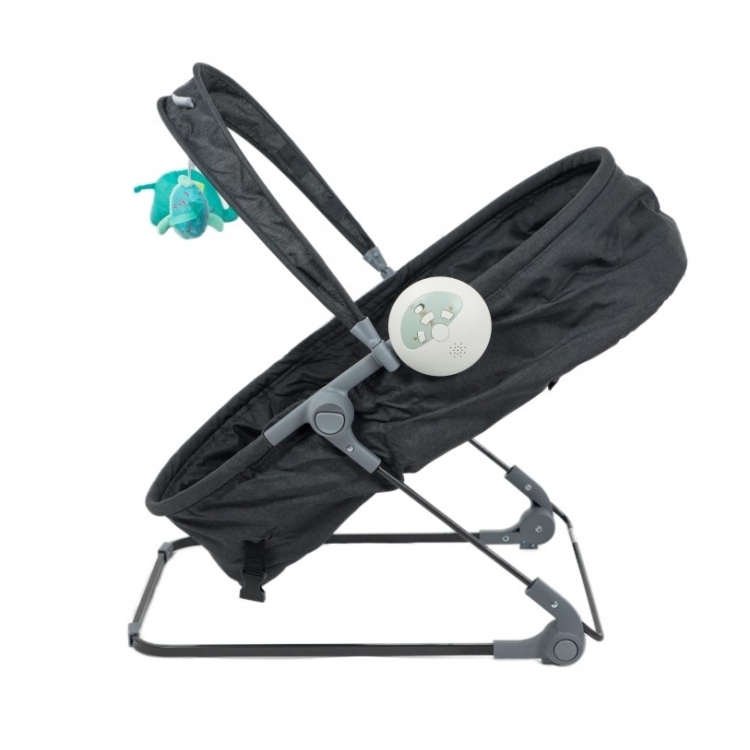 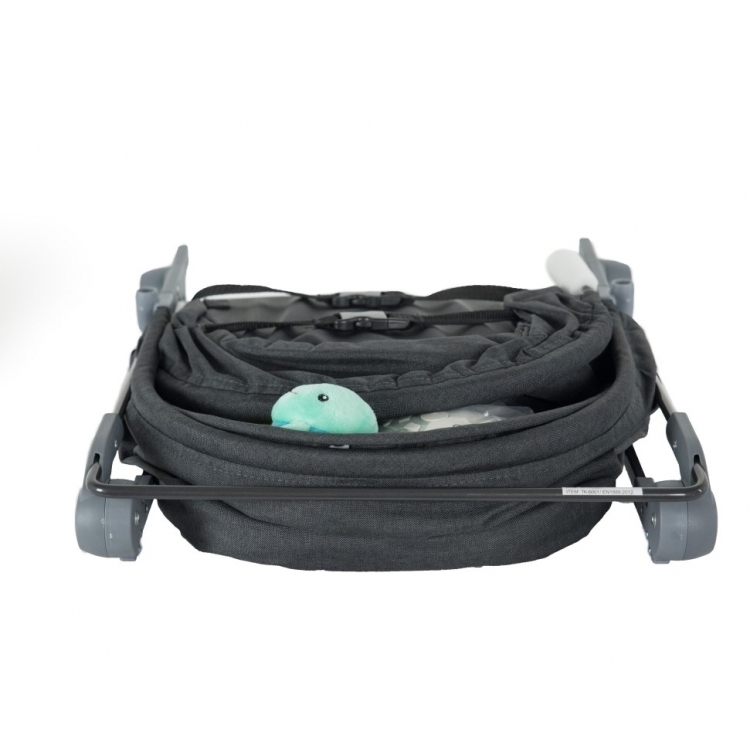 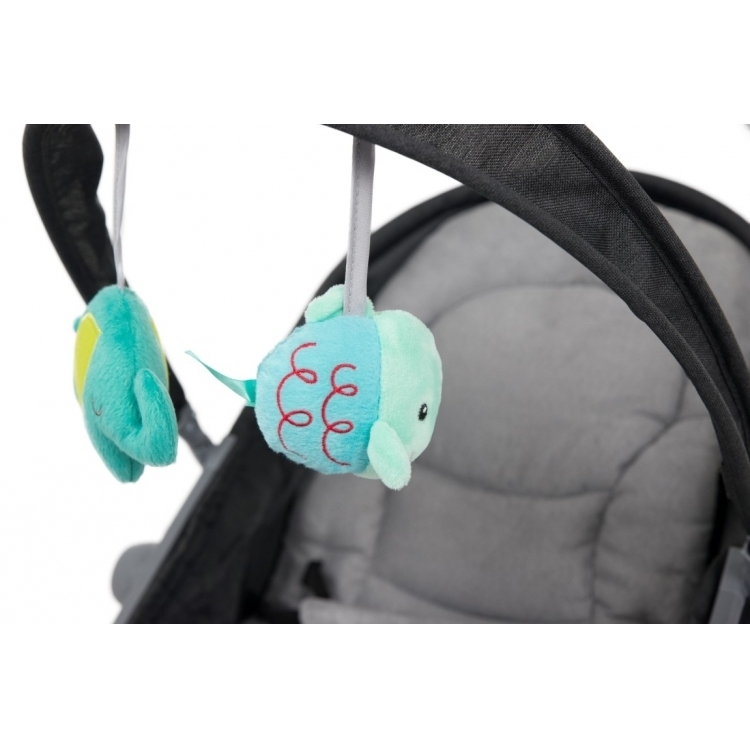 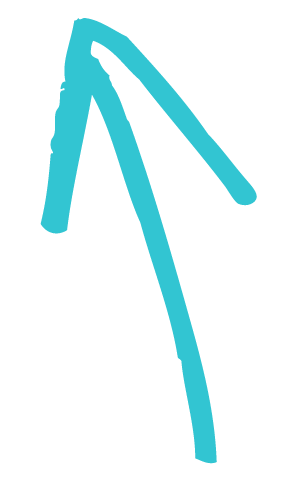 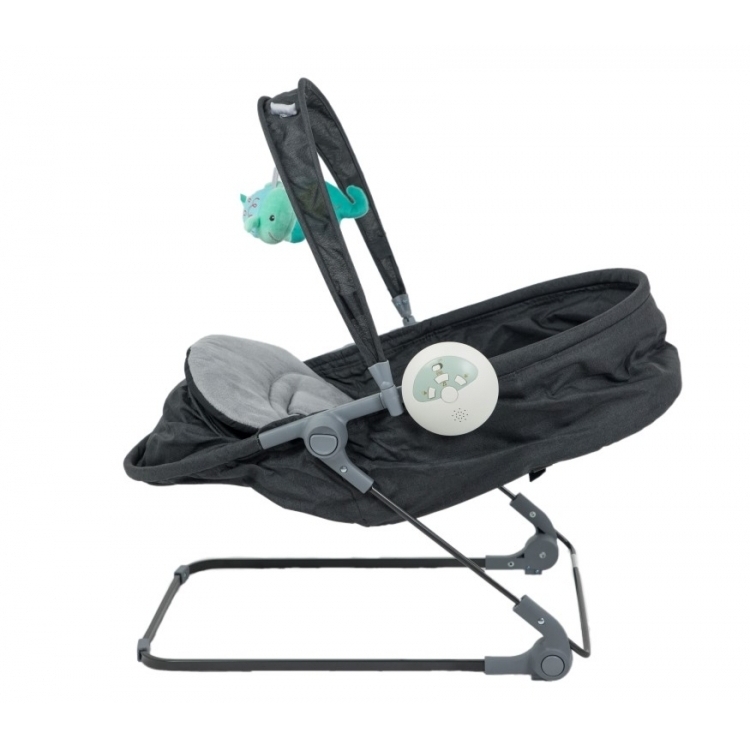 The rocker has 2 luxury toys and is easy to store because the compact folding.